Alive in Christ Radio, a radio outreach of Christian Discipleship Ministries, is distributed worldwide by Christian Discipleship Ministries to teach God's truth and to share the perfect redemptive-love of our Lord and Savior, Christ Jesus. 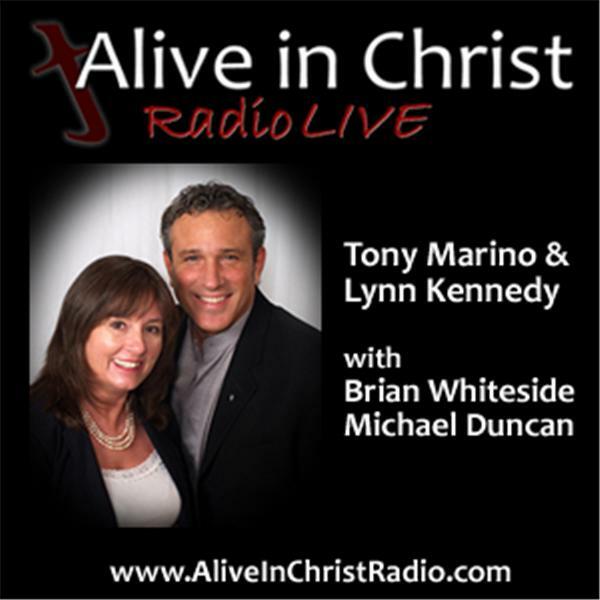 Alive ... in Christ Radio is hosted by international Christian Discipler, author, publisher, and speaker Tony Marino. Alive in Christ Radio features true-life application Holy Bible teachings; spirit-filled dialogue; Christian news and updates; inspirational guests and testimonials; special programs featuring Focus on the Family, Joyce Meyer, and Luis Palau; listener interaction; and more. "Go and make disciples of every nation" Matthew 28:19.